Jerry, my husband, updates and places a sign outside the studio each day, letting people know when they can come to practice. Hi! I'm Juko, the founder and director of Ease. When I first walked into what was our first yoga shala, I looked around and said "This wants to be a yoga studio." It was not something I was expecting to do, but the call seemed really clear. 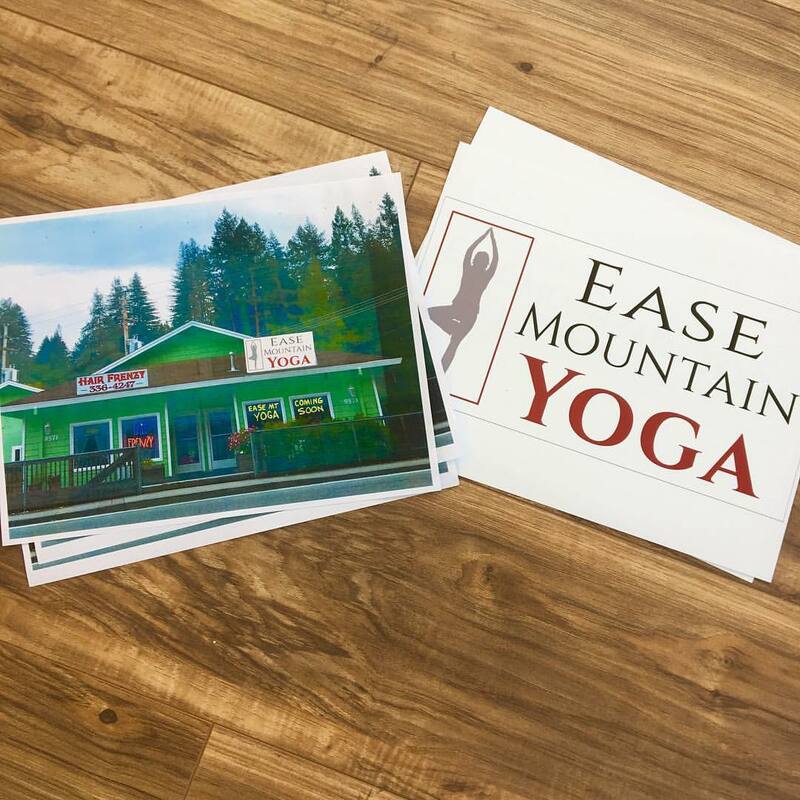 In June of 2012, Ease Mountain Yoga & Wellness Co-Op was launched. Just as the dream was materializing, my father entered hospice care, and my husband and I moved across the country to care for him for the last 8 months of his life. During that time Julie Carpenter offered one class a week to a group of students who had been practicing with her for years. Her dedication grounded the space while I was away, and were it not for her devotion to teaching, we would not have a yoga studio today. In June of 2015, a group of teachers began offering classes 7 days a week. We offered over 900 yoga classes the first year we were open, and served hundreds of yoga students from Ben Lomond, Bonny Doon, Boulder Creek, and Felton. When we turned two years old, we moved into a space that doubled our capacity -right on Highway 9 in "downtown" Ben Lomond.